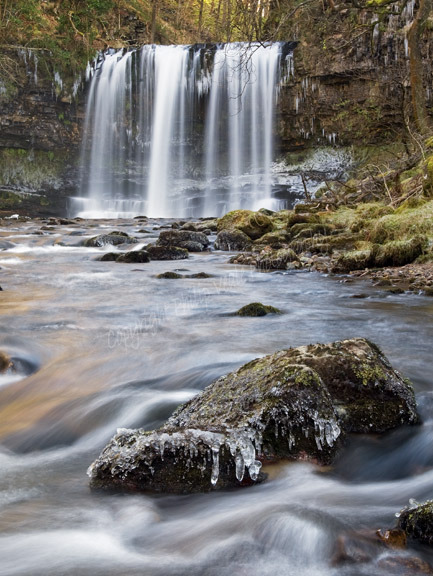 Philip Veale Photography: Sgwd Yr Eira, Feb 2012. Sgwd Yr Eira, Feb 2012. Icicles hang from the sides of the falls and the rocks in the Afon Hepste after a cold spell during Feb 2012.